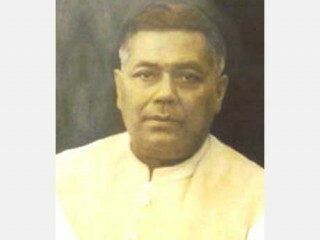 Gopinath Bordoloi, who became the very first chief minister of the Assam state, was also a prominent freedom fighter of India. He was a staunch supporter of Mahatma Gandhi and his theory of non-violence as a means of attaining independence for the country from the British rule. After his schooling, he attended the Scottish Church College at Calcutta city known as Kolkata in present times. After this, he joined the Indian National Congress as a volunteer. Being absolutely dedicated to the cause of attaining India's freedom from the alien rule, it did not take Bordoloi long to rise up through the ranks of the Indian National Congress during the 1930s era. The biggest test for the dedication of Gopinath Bordoloi to the national cause came during the 1946-47 time period. This was the time when the then undivided majority Muslim political leaders from Bengal, with most of them affiliated to the Muslim League, desired the inclusion of significantly Hindu dominated Assam into East Pakistan that nurtured a majority of Muslims. This was a very crucial point in the life history of Gopinath Bordoloi. However, the matter was sorted out by holding a number of protest rallies and deliberating on this issue with high ranking officials in the colonial government. There were apprehensions about the breaking out of mass communal riots in the Assam region because of this reason, but Bordoloi and other leaders used a lot of tact and political influence in order to finally preserve this territorial integrity within the Union of India. Post independence, Gopinath Bordoloi worked in alliance with Sardar Vallabhbhai Patel to secure the sovereignty of Assam against Communist China on the one hand and East Pakistan on the other. He was also instrumental in rehabilitating thousands of Hindus refugees who fled from East Pakistan because of the possibility of riots. Gopinath worked day and night to ensure communal peace and harmony here. These moves kept Assam safe and progressive till 1971 war over East Pakistan's freedom. As such, he was presented the prestigious Bharat Ratna posthumously in the year 1999. View the full website biography of Gopinath Bordoloi.